There’s a reason Tom Moran has had a successful career in the staffing industry: he started from the bottom. Right out of college, Moran got a desk job at a local staffing agency, and he has spent the past two decades learning every aspect of the industry. Needless to say, it’s paid off. Moran has held executive leadership positions with the industry’s largest firms, including his previous role as CEO for Mastech, Inc. 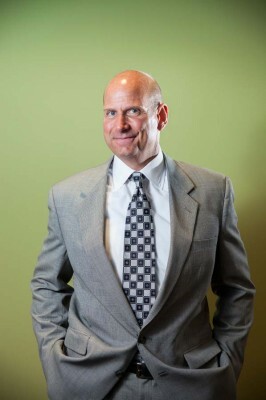 In 2011, Moran became CEO of Addison Group, a fast-paced, rapidly growing Chicago-based staffing agency serving seven core industry sectors, including IT, accounting and finance, health care, executive search, financial services, administrative, and VMS/MSP (vendor management solution and managed services provider). To be successful with Addison Group, Moran says you have to be highly-motivated, thriving in a performance-based culture. The agency’s employees are entrepreneurial, a quality the CEO says is easy to spot during the interview process. This process sets up the foundation, as in-depth job interviews reveal the “good, bad, and ugly” of the industry and the position itself. The agency’s approach appears to be working; Addison Group boasts impressive numbers. About 70 percent of clients stay with the agency for four years or more, with the average client staying for six years, well above the industry standard. In the staffing industry, long-term clients are hard to come by, so when the Addison Group secures one, the agency fights to keep them. In the wake of the recent recession, Moran notes that the staffing industry is leading the country out of unemployment, citing that 15 percent of the new jobs created since 2009 were temporary positions. Addison Group specializes in hard-to-find skill sets, with a large emphasis on IT.